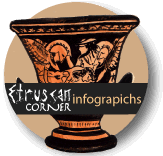 The ancient Greeks used to call them Tyrrheni, Romans would call them Etruscans or Tuscians but, in their own language they would call themselves Rasenians. This civilization appeared three thousand years ago on the Tyrrhenian coast line to then mysteriously disappear nine centuries later. All they left is mystery and inexplicable facts; their peculiarities differentiated them from the other Mediterranean civilizations. Even their language would have a shade of deeply sacred belief that would guard their life contributing to a well organised society. There was no Capital city but, a Federation of city states called “Lucumonie” whose representatives would gather yearly at the Fanum Voltumnae, sacred place that still today is a mystery to locate. Archaeology has given some answers to this regards but for many other questions was unsuccessful. Why then should not we embrace theories that argue with conventional studies but that would be rather more valuable? That would be only a different interpretation of historical facts and their evidence. In 4500 B.C. Europe and the Italian peninsula is home to a mix of different communities coming from the Mediterranean sea and North Europe. Metallurgy takes place in Etruria particularly in the Fiora River valley thankfully to people coming from the Egean cost line (the Rinaldone community) but with descendants from the Scandinavian region. They would be at least two feet tall, with white skin and blond; their knowledge and cults would be transmitted in the all Italian peninsula. Felice Vinci in his book “Homer in the Baltic”, demonstrates how Homeric tales and myths were in reality an oral transcription handed down between different civilizations that had to resettle in south Europe because of extreme cold climate conditions. The Mycenaeans were in fact a greek civilization that came from the Baltic region; their tombs prove this movement from north Europe just by considering the presence of Baltic amber, a material missing from other cults of near civilizations. Where did the Etruscans come from then? Ancient astronaut theories hypothesise they had extra-terrestrial origins. Others say they were what of the Atlantis population was left that resettle in different continents spreading their knowledge and belief down to the Celts and Mayas. Again, some others would suggest the Etruscans come from the underworld of Agarthi. 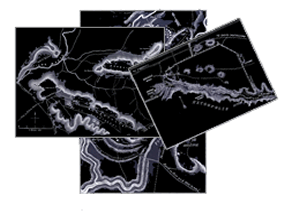 Their sacred geography was very simple; it would include sky, earth and hades (underworld). Their knowledge was more complex including engineering, astronomy, meteorology, haruspicy (form of divination), metallurgy and jewellery. Still today we can find wonderful artefacts that revoke their culture. This Neolithic civilization could build giant monuments by adopting stones of incredible size and modelling them with particular shapes. They would sometimes transport this enormous creations or carve and dig in huge blocks of tuff demonstrating an unbelievable knowledge of their territory that was far more efficient than what today we see there. Walking through this marvellous area it could happen to bump into a Via Cava, a deep passage in the dug tuff that often goes across their necropolis. What was the meaning of these colossal monuments then? Did they have something to do with terrestrial magnetism? What we could think is that they were artificial gates built for religious reasons; most probably something related to the Etruscans communication with their gods. Many might be the questions and the answers that still go around this civilization; it is for this reason that their mystery is so fascinating.